"Over 40" condo with very satisfied owners ... Need more be said ? Medicine Hat Real Estate. 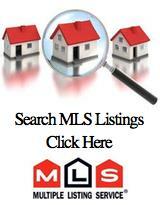 Search all Medicine Hat MLS Listings for Medicine Hat and area Real Estate for sale including homes, condos and acreages. This father and son Medicine Hat Real Estate Team are both experienced full time Realtors and much of our business is with past clients and the referrals of their friends and family. This enables us to say that we have a proven track record showing that we can assist you with your home sale or purchase - SERVICE YOU DESERVE. We would love to hear from you and invite you to contact us anytime. "NAMES YOU CAN TRUST - SERVICE YOU DESERVE"